Mildew will attack almost anything that is damp. Damp cardboard, as it is made from natural materials, provides an exceptional breeding ground for mildew. Mildew on cardboard may look like a semi-translucent white powder. It may also be blue-green or black in color. 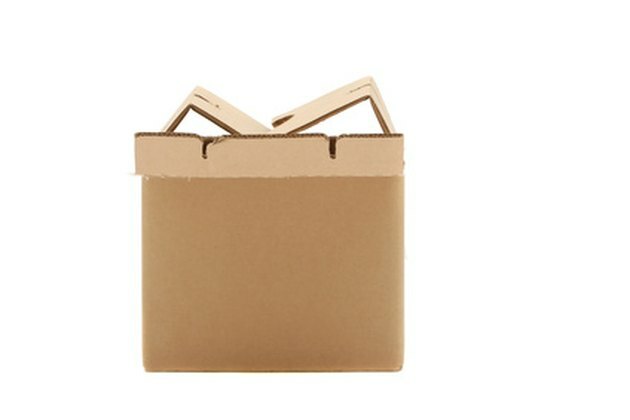 If it is not removed from the cardboard, not only will the cardboard have a bad odor, it will eventually be destroyed and rendered useless by the mildew. Cardboard that gets damp provides a suitable material for mildew growth. Put on rubber gloves. Take the cardboard outdoors and place it in sunlight. Allow the cardboard to air out and dry in the sunlight. When it has dried, use a dry sponge to wipe off loose mildew. Mix 1 cup of chlorine laundry bleach with 4 cups of water in a bucket. Wet a sponge in this mixture and wring it out until you can get no more water out of the sponge. Wipe the damp sponge over the mildewed cardboard. Fill another bucket with clean water. Wet a clean sponge in this water and wring it out. Wipe the clean, damp sponge over the cardboard. Allow the cardboard to dry in the sun. Leave the cardboard out in the sunlight and fresh air until it no longer has a musty smell. Can You Clean Mold Off Cardboard? How Can I Get Rid of Mildew on Mesh Lawn Chairs?